A two-day international conference exploring Sir Richard Wallace and his collection. This year the Wallace Collection is celebrating the two-hundredth anniversary of the birth of Sir Richard Wallace. 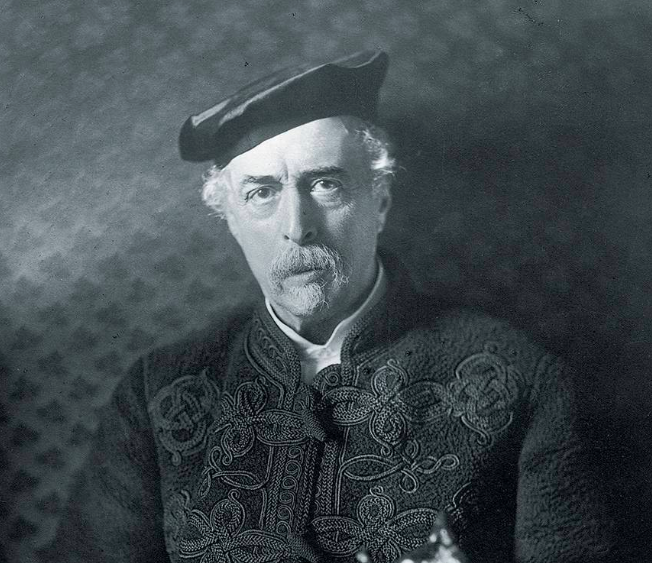 Taking Sir Richard Wallace and his collection as its starting point, the conference will look at aspects of collecting and collections in London and Paris in the wake of the upheavals of the Franco-Prussian War and the Commune in 1870-71, considering essentially the period between 1870 and 1900. 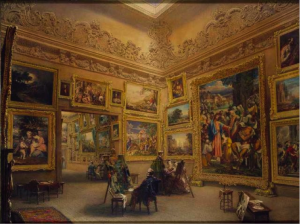 The first day of the conference will consider the impact on the Anglo-French art market of the political and social upheavals in France in 1870-71, including the dispersal of collections and the movement of collectors, as well as the curatorship of private art collections. The second day will focus on two themes: the subject of the morning session will be loans to exhibitions from distinguished collections and the motivations that drove them; the afternoon will showcase works of art in the Wallace Collection acquired by Sir Richard Wallace. From the Wallace Collection’s Curatorial department, Dr Tobias Capwell, Suzanne Higgott, Dr Helen Jacobsen, Dr Yuriko Jackall, and Ada de Wit. The conference will be followed directly by a round table chaired by the Wallace Collection’s Director, Dr Xavier Bray, in conversation with special guest speakers Olivier Gabet (Director, Musée des Arts décoratifs, Paris), Dr Emilie E.S. Gordenker (Director, Mauritshuis, The Hague), Christian Levett (Private Collector), Jacob van der Beugel (Artist in Residence, The Wallace Collection), Ian Wardropper (Director, The Frick Collection, New York) to explore what the future holds for institutions founded by bequests similar to that of the Wallace Collection and how they are adapting to changes that could not have been foreseen by the original donors. The ticket price includes coffee and tea breaks and a drinks reception on Friday 16 November from 18:30 to 19:45. Download the full conference programme here. The Columbus College of Art & Design (CCAD) in Columbus, Ohio, is hosting the 73rd annual SECAC Conference, October 25-28, 2017. The call for paper proposals is available. The deadline is April 20 at midnight EDT. The Collectors’ Impulse: Conspicuous Consumption or Philanthropy? In his 1899 book, Theory of the Leisure Class, economist Thorstein Veblen coined the still-useful phrase, “conspicuous consumption,” meaning the pursuit of status via goods such as art works. More recently, Pierre Bourdieu argued that taste is inextricably linked to social standing. Most often one must possess wealth to amass noteworthy collections, but is collecting more complicated than status seeking or gaining cultural capital? What if the consumer creates a museum with his or her art collection, such as Isabella Stewart Gardner, Henry and Arabella Huntington, and more recently, Eli Broad has done? Is this primarily creating institutions to solidify and enhance their cultural capital? Should others with great collections feel obligated to share them with the public or is it acceptable to keep them hidden until they are ready to sell? To what degree is a collection left to the public conspicuous consumption, philanthropy, or something else altogether? This panel seeks perspectives on collecting practices, past or present. Who is or was collecting and why? What aspects of collecting motivate one to share a collection with strangers (or not)? How should museum-goers react to private-turned-public collections? This panel seeks papers that focus on transatlantic cultural exchange between Ireland and the United States during the twentieth century. Americans who traveled to Ireland, many compelled by familial connections, developed rich relationships with Irish artists that led to cultural exchange between the two countries, while tumultuous political circumstances in Ireland prompted Irish artists to leave their homeland. For example, Irish painter John Yeats and Irish American art collector John Quinn facilitated cultural exchange during the early decades of the twentieth century, particularly in that Yeats was the father of three of the most influential cultural figures in Ireland: writer W.B. Yeats; Ireland’s celebrated painter Jack Yeats; and textile designer Lily Yeats. After solidifying his connection with Quinn, Yeats went on to establish close ties to American artists John Sloan and Robert Henri. This panel seeks to explore these and other examples of Irish/American transatlantic cultural exchange. What impact did the American presence in Ireland have on Irish art? Conversely, how have American artists been impacted by their experiences in Ireland? What exhibitions document these exchanges? These are but a few questions that we hope to answer on this panel. Source: 2 Panels/Sessions at SECAC 2017 (Columbus, 25-28 Oct 17). In: H-ArtHist, Feb 20, 2017.